After a fresh, original and outdoorsy idea for your birthday party? Then look no further! Bring your tribe down to our beautiful woodland playground for a natural celebration like no other. Our parties follow the Forest School ethos of being child-led events, and we pride ourselves on our ability to react and adapt to the group’s desires and energy levels, along with the weather. This means that no two parties are ever the same, and ensures that each party is fully tailored to meet the whole group’s needs. A great time is always had by all (including the parents that stay!). We like to include a mix of high-energy activities and calmer crafts in our parties, giving the event a lovely rhythm and ensuring that guests leave tired and enthused! 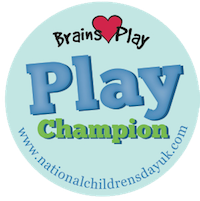 The most popular activities include den building, fire lighting, crafts (like making clay creatures, catapults etc) and games (such as treasure hunts and Capture the Flag). However, we are able to incorporate most woodland related requests into the party, so please do let us know if the birthday child has any! Of course, the children are welcome to take any crafts that they make during the party home with them too. Invitations, marshmallows and a woodland gift for the birthday child are included. Hosts are welcome to bring any other food that they’d like to provide. Most families bring pre-cooked sausages, bread rolls and squirty ketchup. We can then sizzle the sausages back up on the camp fire and serve them around it. It keeps it very simple and is always very popular – no need for paper plates even! We’ll also have a table set up for any drinks, cakes etc. that you intend to bring. After booking you’ll receive a confirmation email with a link to various documents – invitations, consent forms, maps/directions as well as info sheets both for guests and organisers (with a list of suggested things for you to bring). We offer birthday parties all year round, at weekends, during school holidays and also after school. To check availability and book for weekend parties, please use the online booking system below. For midweek and after school parties please contact us by email at hello@hiddenwoods.co.uk with your preferred date/s and what age your child will be on their birthday. Please note that all our parties last for 2.5 hours. For over fives, one adult is required to remain with the group for every 6 children – adults always end up enjoying themselves as much as the children! For under fives we would expect a parent to stay with each child. 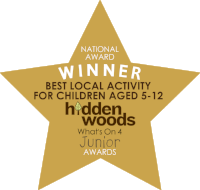 All birthday parties are facilitated by an experienced, fun-loving Hidden Woods leader! Brilliant! Our group definitely kept you on your toes but you managed them all brilliantly!